Hume chose, as a result, to cast his thoughts on the topic in the form of a dialogue – allowing different points of view to be reasoned out, evaluated and answered by different characters. Considering and judging different or opposing points of view, as Hume’s characters do, is an important part of reasoning, and is vital to building strong persuasive arguments. 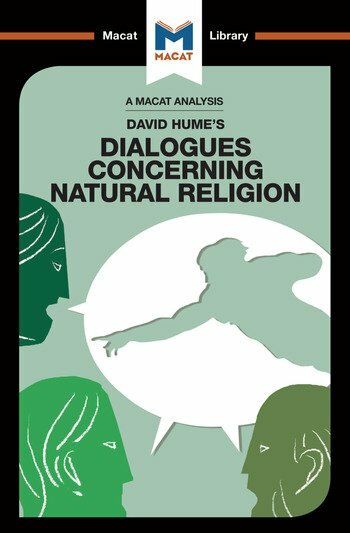 Even if, as Hume suggests, there can be no final answer to what a god might be like, Dialogues Concerning Natural Religion shows high-level reasoning and evaluation at their best. Dr John Donaldson holds a Phd in philosophy from the University of Glasgow, where he now teaches. His work focuses on philosophy of mind, particularly the metaphysics of mind: the problem of mental causation, the mind-body problem, and the prospects for materialist accounts of mental phenomena.